As an employer, am I required to withhold the Local Services Tax for my employees? Yes. Each employee with annual earned income of more than $24,500 is subject to the Local Services Tax. State law requires the employer to withhold the tax from payroll for each employee working at the business location. + Do I withhold the tax from each payroll period? Yes. Pennsylvania law requires employers to withhold the Local Services Tax during each payroll period when the rate exceeds $10 per year. + The Harrisburg LST rate was adopted in April 2016. Is it retroactive to January 1, 2016? Yes. Each Harrisburg employee with earned income over $24,500 is required to pay $156 a year in Local Services Tax retroactive to January 1, 2016. + Is there a breakdown of how employers must withhold the LST for 2016? Yes. Beginning July 1, 2016, employers must withhold the LST at $5 a week through the end of the year. + If I hire an employee after January 1, 2016, does this employee owe the full $156 LST? No. Employers must begin withholding the tax from the date of hire. + Is a refund available if an employee is not required to pay the full $156 LST either because they meet the low income exemption or did not work in Harrisburg for the entire year? Yes. LST refund applications are available online at www.KeystoneCollects.com. + Does Harrisburg have the legal authority to raise the Local Services Tax? Yes. Harrisburg is authorized to set the Local Services Tax rate at $156 per year under the state Financially Distressed Municipalities Act, also known as Act 47. Harrisburg also received authority to raise the tax under Act 47 from the Commonwealth Court of Pennsylvania. + If I have questions about the tax, either as an employer or an employee, is there somewhere I can find additional information? Yes. The Tax Officer is Keystone Collections Group, which has over 30 years’ experience in municipal tax collection. Visit www.KeystoneCollects.com or call 1-866-539-1100. + I am self-employed. Do I have to pay the Local Services Tax? Yes. All individuals who work in the city and do not have employer withholding must self-report the LST. Download the individual LST forms at www.KeystoneCollects.com. Choose “Taxpayer Resources”. 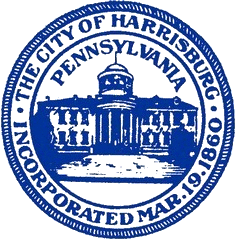 Please be sure to indicate “Harrisburg City” in the “Business Municipal Location Field”.